" karma" is a gyp. A notion that Bon aped from Buddhism. Last edited by Mr. G on Wed May 30, 2012 12:56 pm, edited 1 time in total. Lobsang P. wrote: " karma" is a gyp. A notion that Bon aped from Buddhism. Very interesting what you wrote but i am missing the meaning here at all. Maybe possible to explain it more? So you can stay in the natural state indefinitely "Lobsang"? It is the only way to avoid karma you know. Yes I used to buy into that " Heart". Of course you have to believe it. The whole edifice of Buddhism and its imitations crumbles otherwise doesn't it ? It is clearly a pretty unsubtle convention. Karma/vipaka is operative to the degree that we give it power by identification. We do not need to be fully realized in order for a lack of identification with actor/action/consequence to arise. We do need however to be introduced to our natural condition by one who is realized. Seriously, you making a major mistake. In Mahayoga everything is primordially pure and equal, it is the same as Dzogchen (more or less). But karma is as long as you have ups and downs, joys and sorrows. You would not be here on this forum if you didn't, so please be careful. Stating that karma is a convention just shows that you know very little about yourself. Ups, downs.joys sorrows etc may well be congruent with the Karma/Vipaka model of reality. That is nothing to do with our natural state. Its like we read the words and listen to the talks but we dont really believe it. We prefer to struggle. It gives us a sense of purpose. The words must apply to someone else, we think. Or some future time. Lobsang P. wrote: Ups, downs.joys sorrows etc may well be congruent with the Karma/Vipaka model of reality. There is no karma in the natural state, no karma in emptiness, no karma in enlightenment. If you are a sentient being on the other hand, there is karma. Ask any Dzogchen master you want. Please ask ChNNR if you trust him. The natural state do apply to me right now, don't think I am pushing it in front of me. However, I am constantly caught again and again in the stormy waves of thought and emotion. So I do also exercise a lot of caution to what I say and do. It actually helps when you are not very stable in the natural state. death. Can you do that? There is no choice. There is no option. I have reservations about this thread. It was spun off from another thread in which it had a context. It was a response to a post. It was not a bald statement without context. If it serves a purpose so be it. But with respect, I will not be contributing to it. According to my understanding and looking only to this thread, Magnus is completely correct. Lobsang, missing the context it's complicated to understand what you were trying to say. Lobsang P. wrote: I have reservations about this thread. It was spun off from another thread in which it had a context. When I split this thread, I could not find the context that this was placed in. Let me know which post it is, and I will attempt to merge that post to this thread, or we can just link to the individual post. You've been having a brutal load of work to keep these topics running, Mr. G.
Thank you for all the job you've been doing. Or I can just get over myself and stop being a dog- in- the- manger Mr G.
Last edited by £$&^@ on Wed May 30, 2012 1:55 pm, edited 1 time in total. Dechen Norbu wrote: According to my understanding and looking only to this thread, Magnus is completely correct. Basically it was saying that the Dzogchen view is not earned by purification of karma. Or any other means. Its a gift from those who have it. At least that was what I meant to say. ... but for those who receive the gift, it needs to already be at a requested minimum quantity of limitation, or at least without some specific limitations. So a certain job would have to be done. Simon E. wrote: Its like we read the words and listen to the talks but we dont really believe it. No Dzogchen teachings ancient or recent state that karma is anything less than infallibly functioning for beings in their relative condition. If you're distracted from your knowledge of the natural state, you are accumulating some kind of karma through your thoughts, speech, and actions. Trust that. That the Dzogchen view cannot be directly earned through purification of karma is absolutely true, but an entirely different matter from the functioning of karma in the context of ignorance. Beyond this, even though apprehension of the natural state does not directly have anything to do with karma, we definitely shouldn't think that positive karma and karmic connections played no role in us being born with adequate faculties, freedoms, and circumstances to allow us to be able to communicate with others (and therefore be able to understand the words of our Dzogchen masters), be interested in Dzogchen teachings and be able to otherwise participate accordingly, not to mention meet our Dzogchen masters and receive their teachings. One need only consider the overwhelming numbers of sentient beings for whom these things are not even a remote possibility. Dzogchen does as it will. Our merit has nothing at all to do with it. We can and need no more earn it than we can grow our body in the womb , or breath while asleep by an act of will. 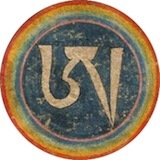 Simon E. wrote: Dzogchen does as it will. Our merit has nothing at all to do with it. Merit or good karma is needed to get in touch with Dzogchen. Even to be in the womb is due to Ma rigpa and is based on karma.